That is under the assumption, though, that union had a leader in a position to give such an address. Nearly a month has gone by since outgoing president Schubert Laforest resigned. Since then, the CSU has been bumbling along, juggling Laforest’s portfolio without any one specific person serving as his replacement. While the burden of distributing the responsibilities of the vacant presidency for an unprecedentedly long period of time has been a setback—it is far from the sole issue that has led the union into its current state of disarray. According to the CSU’s bylaws, it is the president’s duty to serve as the union’s chief executive officer and official spokesperson. The job description includes the tasks of ensuring the day-to-day administration of the union, and implementing the decisions of council. Despite being the first agenda point up for discussion at a special council meeting held March 1, the CSU’s council has yet to pick a president—a spot vacant since Laforest’s resignation on Feb. 7 due to health reasons. The point was immediately tabled at the most recent council meeting, because council had not yet received the Judicial Board’s decision concerning the correct legal interpretation of Bylaw 7.4. This bylaw—which outlines the protocol of filling a presidential vacancy—sparked a heated debate at the previous meeting. This led to a standoff between council and its executive, and ultimately, no new president. A decision is expected to be released from the JB this Wednesday. If a decision arises, the CSU bylaws stipulate the union can hold a special council meeting once they give council members two business days’ notice. Until then, VP Finance Keny Toto has authority to sign any documents of financial nature, VP Internal Nadine Atallah is responding to e-mails sent to the president’s address and the rest of the executive is collectively absorbing Laforest’s other duties. Lauzon said the process of hiring an office general manager, which Laforest was working on, has been put on hold until a president can be appointed. Though it hasn’t yet been necessary, Lauzon said that should the executive be required to sign anything they do not currently have authority to, they can seek direct approval from its board of directors. Four months have gone by, and little has changed. At the time, council voiced concerns over a dysfunctional website, server crashes and a slew of other technical issues. At the March 1 council meeting, the lack of progress made since was addressed by several councillors. Regardless, she was able to explain that the overhaul of the union’s online needs can essentially be divided into three parts—website development and maintenance, I.T. infrastructure and information services. The I.T. infrastructure portion is currently moving forward, and is set to be completed by the end of April. As for the other two, a tender has been drafted. Yu-Hui says she doesn’t know whether the process has begun for the website development, but is certain it hasn’t for maintenance and information services. She said an executive, whose name she declined to disclose, had been assigned to the task, but Simon-Pierre Lauzon later confirmed that he is taking over Laforest’s responsibility for the project. Yu-Hui said once the tender is posted it will take at least a month to choose a company. “The project could begin this year, but it won’t finish,” she said. In his final executive report, prepared for Jan. 23, Laforest wrote, “This has become a rather long and drawn out process, but we’re not going to stop working on this, move it forward and complete it. To compensate for the dire reality of the interim, councillors suggested the creation of a WordPress side-site to host basic information. VP Loyola Stefan Faina has agreed to take on the responsibility of doing so. The CSU has several standing committees that exist to execute specific initiatives and tasks to further the progress the union. A few of such committees have recently received criticism for not fulfilling their roles as facilitators. The Finance Committee is one of those criticized. The committee, chaired by VP Finance Keny Toto, has not met since Jan. 24. When asked why, Toto cited scheduling issues. Member of the committee and councillor Paul Jerajian agreed that finding a meeting time had been difficult—but perhaps not an adequate excuse. Toto said the Finance Committee was currently using Doodle, an online scheduling website, to arrange meetings, and that he hopes to schedule one for this Thursday, since he says there is much to do. “We have lots to talk about, changes in budget lines, special project applications, disabled students fund and the elections budget,” said Toto. Additionally, at the March 1 meeting, councillor Melissa Kate Wheeler asked Toto why he had not yet produced a report concerning the transactions of the union’s legal contingency fund. Toto says he will prepare a report of the next council meeting. 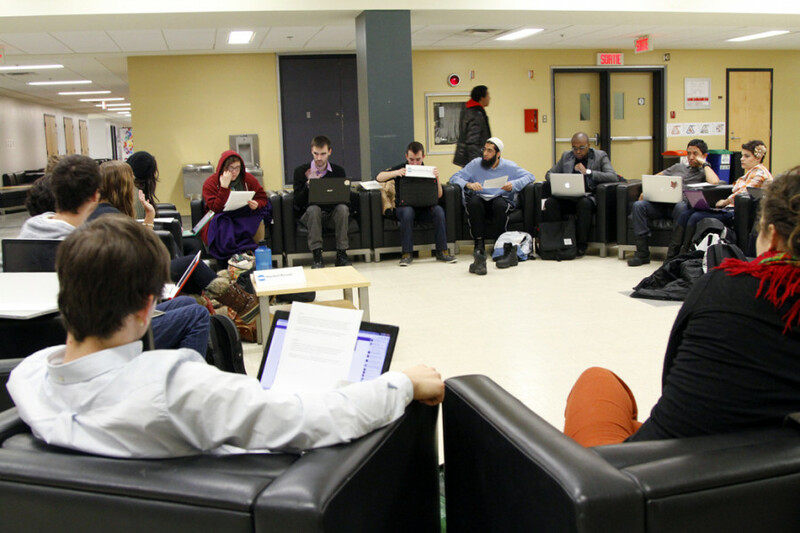 Another committee sparking concerns is the Events Committee, chaired by VP Student Life Alexis Suzuki. The last time the committee met was a week prior to winter Orientation. “The Events Committee has been a bit of a letdown,” said committee member Jerajian. Jerijian said committee members were rarely asked to contribute, have only met a total of about three times and that none of the meetings was attended by more than two members.